Niko loves to draw the sights, smells, and sounds of his surroundings. 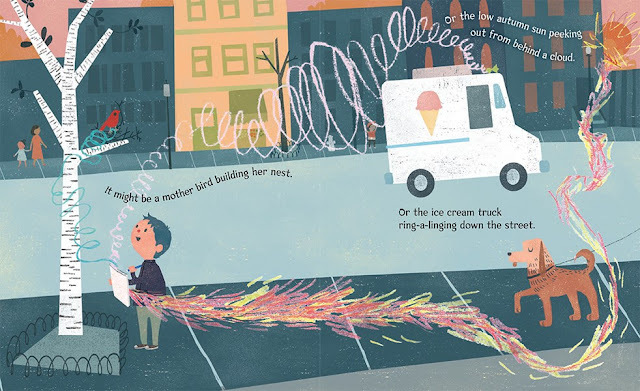 He draws the "ring-a-ling" of an ice cream truck bell, the warmth of the sun, and the complexities of a bird's nest, but when he shows his friends, no one can quite see what he sees. But that, of course, is because Niko draws the sensations and feelings he has when he observes his surroundings: he conveys what he sees around him through colors and shapes. 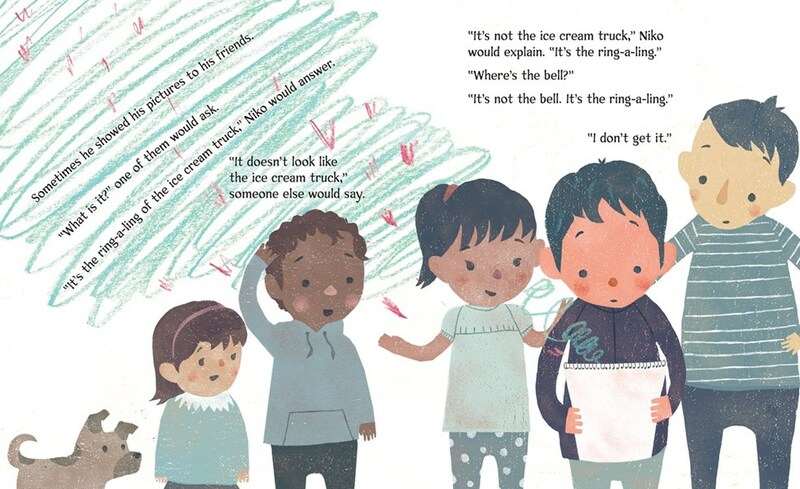 The illustrations are mixed media, digital, and acrylic paint, and the scribbles on each page carry readers from one side of the book to the other, making the visual story seem almost effortless. I say "almost" because it's overwhelmingly evident how much thought and effort went into each spread. We see different textures depending on the subject: imaginary objects are drawn as though with crayon, while the "real" objects and people appear like woodblock prints. Each style is heavy in texture and color. 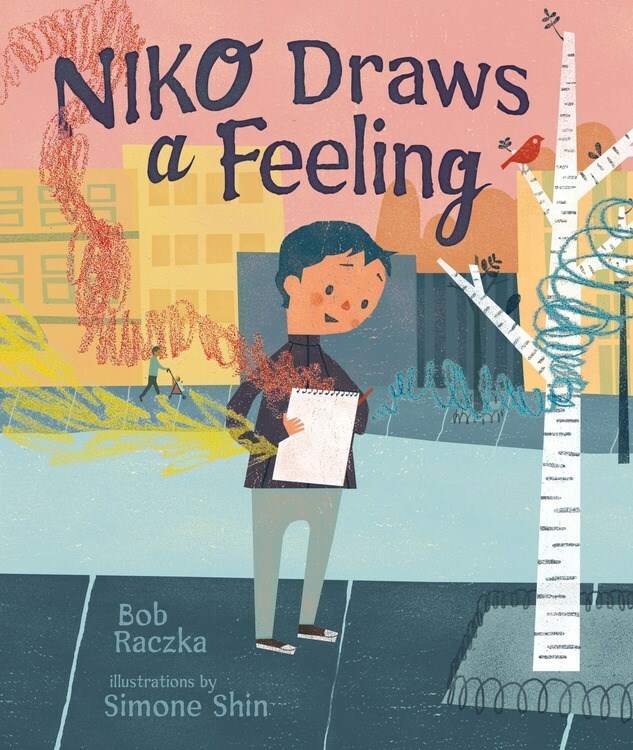 Niko Draws a Feeling published in April from Lerner Publishing!